Ideal for those moderate fades to chronic slicing, the XDS Extreme Draw fairway woods highlight an offset hosel, modestly closed face and internal heel-weighting to assist squaring the face up at impact. In addition, a wrap-around face construction features an ultra-thin, variable thickness face to boost ball speed and distance. The XDS fairway woods showcase progressive internal heel weighting to assist into squaring the face up at impact and producing a draw enhancing ball flight. The wrap-around face construction features an ultra-thin, variable thickness face to boost ball speed and distance while multiple lofts provide custom options to attack the course from nearly anywhere on the course. Finally a fairway wood worthy of the Juggernaut name! 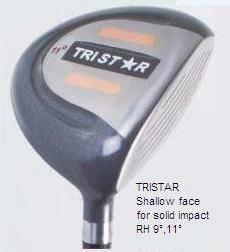 This all-titanium beast is all about maximizing distance with a “hot-face” comparable to today’s drivers. Experience first-hand what it is to hit the ball higher, straighter and further with no additional effort with the Juggernaut Titanium fairway woods.